0126978178 OTHERS AVAILABLE 640 sf STUDIO Seri Bukit Ceylon Serviced Residence Apartment for Rent and Sale Bukit Bintang Kuala Lumpur pid=1333. For Seri Bukit Ceylon Bintang Service Serviced Residence Residences Condominium Condo Apartment Penthouse Duplex SOHO Office Suite Studio Kuala Lumpur KL for Sale Rent Rentals Lease and to Buy Sales enquiries, telephone the Property Desk on (+60) 03.2032.3168 / Duty Handphone (+60) 012.697.8178 or simply click on the blue propertrack Malaysia Nilai Harta Consultant Sdn Bhd Contact Agent link below. Seri Bukit Ceylon Serviced Residence Apartment is accessed from an entrance hall into an open plan kitchen, dining and living room with balcony off (KLCC and Bukit Bintang View), 1 master double bedroom with fitted wardrobe, en-suite bathroom (glazed shower, a washer, dryer, storage cabinet, designer marble vanity unit with mirror over and hot water heater system) and 1 allocated car parking bay. The immaculate fully furnished (FF) Seri Bukit Ceylon Serviced Residence Apartment with extras to include, granite topped fitted kitchen floor and wall cabinets with a branded four ring electric hob, extractor hood, stainless steel sink together with drainer, cupboards for storage, 2 split air conditioning units, a ceiling fan, together with all blinds and curtains, ceiling light fixtures, telephone point, Astro / television point with security desk facility and intercom. Seri Bukit Ceylon Serviced Residence Kuala Lumpur, sits upon freehold land, completed in July 2006 by UM Residences Sdn Bhd (a subsidiary of UM Land Berhad, a public listed company on KLSE with major shareholders such as Pernas, Capitaland and Chee Tat Group). Seri Bukit Ceylon is located on Lorong Ceylon, within the heart of the highly sought after Bukit Ceylon, Kuala Lumpur City Centre’s (KLCC) Golden Triangle and Central Business District (CBD). Seri Bukit Ceylon Serviced Residence Kuala Lumpur is a mixed development that comprises of both residential and commercial components to include retails, duplex business suites (SOHOs), serviced apartments (currently managed by a hotel operator, A Best Realty Network) and apartments & penthouses (owned by individuals), all within one block of 23-storey building and with 4 basement levels of car parks. The overall development approach for Seri Bukit Ceylon Serviced Residence has been a near hotel-like coupled with facilities to include a spacious entrance lobby, WIFI, laundrette, swimming pool with jacuzzi, changing rooms, gymnasium, sauna, children’s play area, mail room, a state of the art centralised building water filtration system plus room and wine delivery service available from the entrance lobby NeroTeca (Italian Restaurant and Deli). To ensure the security and comfort of the Apartment Residents and Hotel guests within the same building, Seri Bukit Ceylon SOHO and Residences is entered from 2 separate glazed entrances, distinctive 24-hour guarded & security desk facilities with concierge and CCTV. Security tag operated lift (2+1 service lifts) access from the SOHO and Residence lobby area and another 3 service lifts for Hotel guests only are accessed from the Hotel lobby respectively. 0126978178 OTHERS AVAILABLE 594 sf STUDIO Seri Bukit Ceylon Serviced Residence Apartment for Sale and Rent Bukit Bintang Kuala Lumpur pid=1356. For Seri Bukit Ceylon Bintang Service Serviced Residence Residences Condominium Condo Apartment Penthouse Duplex SOHO Office Suite Studio Kuala Lumpur KL for Sale Rent Rentals Lease and to Buy Sales enquiries, telephone the Property Desk on (+60) 03.2032.3168 / Duty Handphone (+60) 012.697.8178 or simply click on the blue propertrack Malaysia Nilai Harta Consultant Sdn Bhd Contact Agent link below. Seri Bukit Ceylon Serviced Residence Apartment is accessed from an entrance hall into an open plan kitchen, dining and living room with balcony off (KL Tower and Bukit Ceylon View), 1 master double bedroom with fitted wardrobe, en-suite bathroom (glazed shower, a washer, dryer, storage cabinet, designer marble vanity unit with mirror over and hot water heater system) and 1 allocated car parking bay. 0126978178 OTHERS AVAILABLE 640 sf STUDIO Seri Bukit Ceylon Serviced Residence Apartment for Sale for Rent Bukit Bintang Kuala Lumpur pid=1355. For Seri Bukit Ceylon Bintang Service Serviced Residence Residences Condominium Condo Apartment Penthouse Duplex SOHO Office Suite Studio Kuala Lumpur KL for Sale Long Term Rent Rentals Lease and to Buy Sell Sales enquiries, telephone the Property Desk on (+60) 03.2032.3168 / Duty Handphone (+60) 012.697.8178 or simply click on the blue propertrack Malaysia Nilai Harta Consultant Sdn Bhd Contact Agent link below. Seri Bukit Ceylon Serviced Residences, a spacious 640 sq ft apartment is accessed from an entrance hall into an open plan European-style kitchen, high ceiling dining and living room with balcony off (Ceylon Hill View), 1 master double bedroom with fitted wardrobes, en-suite bathroom (glazed shower, a bathtub, designer marble vanity unit with mirror over and hot water heater systems), and with 1 allocated car parking bay. 0126978178 OTHERS AVAILABLE 1280 sf SOHO Seri Bukit Ceylon Serviced Residence Duplex Office Apartment for Sale for Rent Bukit Bintang Kuala Lumpur pid=1337. For Seri Bukit Ceylon Bintang Service Serviced Residence Residences Condominium Condo Apartment Penthouse Duplex SOHO Office Suite Studio Kuala Lumpur KL for Sale Long Term Rent Rentals Lease and to Buy Sell Sales enquiries, telephone the Property Desk on (+60) 03.2032.3168 / Duty Handphone (+60) 012.697.8178 or simply click on the blue propertrack Malaysia Nilai Harta Consultant Sdn Bhd Contact Agent link below. A Seri Bukit Ceylon (SOHO) Office Suite with a total built up area of 1,280 sq ft, along with a high ceilinged reception area, a long passage, 3 offices, a kitchenette and 2 washrooms. Seri Bukit Ceylon Kuala Lumpur, sets on a freehold land, completed in July 2006 by UM Residences Sdn Bhd (a subsidiary of UM Land Berhad). Seri Bukit Ceylon is located on Lorong Ceylon, within the heart of the highly sought after Bukit Ceylon, Kuala Lumpur City Centre’s (KLCC) Golden Triangle and Central Business District (CBD). Seri Bukit Ceylon Serviced Residence Kuala Lumpur is a mixed development that comprises of both residential and commercial components to include retails, office business suites (SOHOs), serviced apartments (currently managed by a hotel operator, A Best Realty Network) and apartments & penthouses (owned by individuals), all within one block of 23-storey building and with 4 basement levels of car parks. The approach for Seri Bukit Ceylon development has been a near hotel-like building and coupled with facilities include spacious entrance lobby, WIFI, laundrette, swimming pool, changing rooms, gymnasium, sauna, children’s play area, mail room, a state of the art centralised building water filtration system plus room and wine delivery service from entrance lobby NeroTeca Italian restaurant. The prime location of Seri Bukit Ceylon Residence affords an array of near 24-hour door-step amenities and conveniences, from bars, restaurants and bistro’s in Changkat Bukit Ceylon and Jalan Alor, with shopping centres, cinema, banks and supermarkets, namely Mercato at Pavilion KL, Isetan (Lot 10), international boutiques (Starhill Gallery and Suria KLCC), the KL Convention Centre, Aquaria and Malaysia Philharmonic Orchestra (KLCC) as well as The Weld, Menara Hap Seng and Menara PanGlobal (home to Luna Bar) all being within short walking distance. Its prime location offers numerous advantages, one of which is convenient accessibility to all corners of the Klang Valley, well linked to Jalan Ampang, Jalan Tun Razak, Ampang KL Elevated Highway, the Sungai Besi North-South Expressway, MEX Expressway and the Smart Tunnel Motorway. Aside from roads, public transport amenities such as nearby KL Monorail, MRT and LRT offer alternative forms of commuting that connect to KLIA via Express Rail Link (ERL) and other parts in the city. Taking the advantage of city centre convenience coupled with the elements of SOHO / office suite, the location is ideal for small businesses operating from home providing a variety of business services to include, information technology (IT) facilities, consultancy, tuition, tailoring and many others. The SOHO concept is the best alternative for this group of entrepreneurial-minded candidates which should not be missed ! 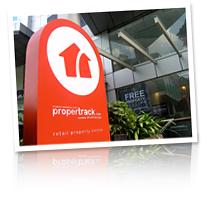 Should you require a Malaysia, Overseas, Foreign or International Mortgage, Home Loan, Business or Property Refinancing Facility to fund your property purchase, propertrack is able to arrange assistance to provide you with complete finance solutions to suit your individual requirements. 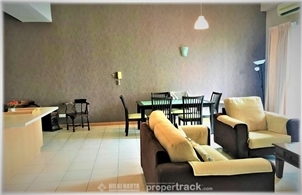 0126978178 OTHERS AVAILABLE 1118 sf APARTMENT Seri Bukit Ceylon Serviced Residence Apartment for Sale for Rent Bukit Bintang Kuala Lumpur pid=1304. For Seri Bukit Ceylon Bintang Service Serviced Residence Residences Condominium Condo Apartment Penthouse Duplex SOHO Office Suite Studio Kuala Lumpur KL for Sale Rent Rentals Lease and to Buy Sell Sales enquiries, telephone the Property Desk on (+60) 03.2032.3168 / Duty Handphone (+60) 012.697.8178 or simply click on the blue propertrack Malaysia Nilai Harta Consultant Sdn Bhd Contact Agent link below. A 1,118 sf 2 bed Seri Bukit Ceylon Residences unit with high ceilings, facing KLCC & Lot 10, 1 allocated car parking bay (129 sq ft) within the heart of the highly sought after Bukit Ceylon, Kuala Lumpur City Centre's (KLCC) Golden Triangle and Central Business District (CBD). Seri Bukit Ceylon Residences are entered from a glazed, 24 hour guarded, CCTV, security tag operated lift (2+1 service lifts) lobby, the spacious unit is accessed from a private entrance leading to an entrance hall into an open plan European-style kitchen, dining and living room with balcony off (views over KLCC and Lot 10 of Bukit Bintang), a master double bedroom with fitted mirrored wardrobes and balcony off (Bukit Bintang view) and en-suite bathroom (bath, glazed shower, designer marble vanity unit with mirror over and hot water heater) and a further double bedroom with en-suite bathroom / powder room (glazed shower, designer marble vanity unit with mirror over and hot water heater). The fully furnished (FF) Seri Bukit Ceylon apartment sale extras include, granite topped fitted kitchen floor and wall cabinets with a branded four ring electric hob, extractor hood, stainless steel sink together with drainer, 3 split air conditioning units, ceiling fans, all curtain rails, ceiling light fixtures, telephone point, astro / television point with security desk camera facility and intercom. With the Resident Owners returning Overseas, there is an option to purchase many of the non-fitted furnishings thus this immaculate apartment would be in “ready to move into condition” for a new Resident Owner or their Tenants. Near hotel-like building facilities include, WIFI, laundrette, swimming pool with jacuzzi, changing rooms, gymnasium, sauna, children’s play area, mail room plus room and wine delivery service from entrance lobby NeroTeca (Italian restaurant and deli). The prime location of Seri Bukit Ceylon Residence affords an array of near 24-hour door-step amenities and conveniences, from bars, restaurants and bistro’s in Changkat Bukit Ceylon and Jalan Alor, with shopping centres, cinema, banks and supermarkets, namely Mercato (KL Pavilion), Isetan (Lot 10), Giant at Sungei Wang, international boutiques (Starhill Gallery and Suria KLCC), the KL Convention Centre, Aquaria and Malaysia Philamonic Orchestra (KLCC) as well as The Weld, Menara Hap Seng, office buildings and hotels all being within short walking distance. Raja Chulan (5 minutes walk) and Bukit Bintang (8 minutes walk) monorail stations provide rail access throughout the city and onto Kuala Lumpur International Airport (KLIA) together with an excellent road infrastructure. Reputably, Seri Bukit Ceylon, is one of the near-most sought after (with near 100% occupancy) and well run serviced residence condominium apartments in Kuala Lumpur managed by an owner-lead pro-active Joint Management Committee (JMC) developed by United Malayan Land Bhd (UM Land Bhd), a state of the art centralised building water filtration system and mains electricity. The Seri Bukit Ceylon Residences Kuala Lumpur affords possibly one of the best in Malaysia Property Investment (MPI) with comprehensive inc. services all under one roof, a place to be truly called home. 0126978178 BU 5500 sf LA 9600 sf Glenmarie Cove Port Klang Selangor Waterfront Detached House for Sale pid=1353. For Glenmarie Cove Port Klang near Bandar Botanic Bukit Tinggi Klang Shah Alam Selangor Waterfront Property Properties Bungalow Detached House Houses for Sale Rent Rental Rentals Lease and to Buy Sell Sales enquiries, telephone the Property Desk on (+60) 03-2032 3168 / Duty Handphone (+60) 012-697 8178 or simply click on the blue propertrack Malaysia Nilai Harta Consultant Sdn Bhd Contact Agent link below. An exceptional, individual 3-storey luxury Glenmarie Cove Port Klang Selangor detached waterfront family bungalow house and home set on 9,600 freehold sq ft within its own private, landscaped and enclosed green walled garden. NOTE: This Glenmarie Cove detached waterfront bungalow house for sale addresses Selangor State Malaysia foreign ownership acquisition requirements. The imaginative open-planned centrally air-conditioned living spaces, with a built-up of over 5,500 sq ft, is an eco-friendly Engineer and Architect designed and insulated doubled glazed property to address Tropical weather, is now available for Sale, inclusive of all fitted furnishings, blinds and integrated applicances (Note: All soft / loose ie.moveable furnishings, are available by separate mutual negotiation). The 3-storey Glenmarie Cove bungalow house built in 2014 to an extremely high standard of detailed finishing, is situated in a quiet residential cul-de-sac with rare and unobstructed views over the banks of the Langat River towards Carey Island. Entered from the private car parking area via a magnificent North-facing main door to the entrance hall (concealed flush storage / shoe cupboard off), study area (with built in furnishings) and powder room off, into a stunning open plan European gourmet fully fitted and integrated kitchen with central breakfast bar island (en-Suite Maids / Utility Room off) dining area and living area, both leading directly onto the South-facing terrace and garden (with outdoor shower room). Off the open-plan ground floor living areas, the grand open-tread staircase leads to 4 exquisitely furnished double bedrooms (all with en-suite built-in dressing and bath rooms) continuing onto a roof-top covered indoor garden uniquely designed with a filtered rain water collection system and large twin storage tanks. Glenmarie Cove is a 200-acre freehold gated residential enclave located to the south of the royal town of Klang, neighboring the townships of Bandar Botanic and Bukit Tinggi. This new township was developed by DRB-Hicom in 2014 based on a riverfront resort living concept along the Langat River and fronting Carey Island. Glenmarie Cove’s low-density development features 2km of river view frontage with bungalows and semi-detached homes surrounded by landscaped parklands and lagoons. Other amenities include a 2km boardwalk with magnificent views of the sunset, leisure areas by the lagoons and flourishing riverbanks; boating and water sport activities such as speed boat rides at the jetties of each precinct, a gentle cruise by dusk; resident’s clubhouse coupled with the facilities of a gymnasium, swimming pool, sauna, multipurpose hall and a café; as well as the 24-hours security where peace of mind is ensured by the vigilant surveillance team who constantly safeguard residents’ wellbeing. Other types of semi-detached landed homes at Glenmarie Cove include Myuna Villas, Rosea 2 Villas, Palmea Villas, Alba Villas and Chryso Villas as well as the limited bungalow lots scattered across the enclave have since been sold and completed in 2015. 0126978178 140-4800sf + Retail Space Wangsa Walk Mall Wangsa Maju Kuala Lumpur for to Let Lease Leasing Rent Rentals Enquiries pid=1358. For Wangsa Walk Shopping Mall Wangsa Avenue Wangsa Walk Kuala Lumpur Shop Retail Space Property Properties for Lease Leasing Rent Rental Rentals Sale Sales enquiries, telephone the Property Desk on (+60) 03-2032 3168 / Duty Handphone (+60) 012-697 8178 or simply click on the blue propertrack Malaysia Nilai Harta Consultant Sdn Bhd Contact Agent link below. Wangsa Walk Shopping Mall is a family orientated community mall located in the heart of the mature township of Wangsa Maju Kuala Lumpur. The Wangsa Walk Mall offers a wide range of branded eateries, health, clothing and merchandise stores as well as retail chains to include F.O.S, Giordano, Mr. D.I.Y, Cold Storage Supermarket, Guardian Pharmacy, Watsons Heath Care, MBG Fruits Shop, Popular Book Store, Starbucks Coffee, Celebrity Fitness and Yamaha Music, representing merchandisers with interconnecting walkways that enable shoppers to walk from store to store. Wangsa Walk Mall was opened in January 2010, located within the residential area of Wangsa Maju, serving neighbourhoods in Taman Melawati, Taman Melawati. Sri Rampai, Setiawangsa, Setapak and other surrounding areas. Wangsa Walk Mall has seven (7) different entrances with a goods off-loading facility at the side. 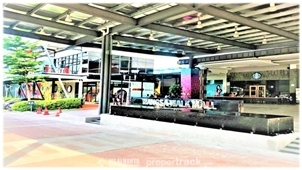 The Mall faces major traffic arterials namely Jalan Wangsa Perdana 1 and Jalan Wangsa Delima, and has several pedestrian connections to surrounding neighbourhoods and Sri Rampai LRT station (8 mins Walk). There are more than 600 parking lots adjacent to it within the mall compound, and with exclusive pedestrianised walkways enabling shoppers to walk without interference from vehicle traffic in the large parking lots. Wangsa Walk Mall offers the best in retail and entertaining experiences for shoppers. It has a fantastic upmarket grocery store, a wide variety of eateries and restaurants, fast food chains, fashion avenue for designer clothes, footwear, sports wear, bags and accessories for men & women, apparel shops, boutiques, home décor, pet shops, health and wellness, beauty and hair salons, press and retail convenience chain of Mynews.com, electrical appliances shops, digital technologies, IT & mobile communications, leisure and recreation facilities such as Fun Sc’ape, Superstar Karaoke, Wangsa Bowl, TGV cinemas (total 9 halls with online booking available), Kid’z Planet, a cluster of F&B outlets with spacious balconies, ATMs and many more. Retail tenants and operators are tapping into the pent-up demand for a modern and quality retail offering to adapt to shoppers’ changing lifestyles and habits. The upcoming neighbouring 3 blocks of 48-storeys development of Wangsa9 Residency totaling 565 residence units are near completion later in 2019. One can envisage the rising foot traffic (from the middle-upper income group) to the Mall and demand for expansion in Wangsa Walk Mall’s retail space are expected, signaling a rising market in 2019. MCL Land being an experienced shopping property management and advisory firm for Wangsa Walk Mall, is bringing professional management practices such as standard benchmarks, knowledge resources, skilled people, promoting brand interaction, enhancing architectural appeal, distinctive & unifying themes and promotion fairs etc. to drive growth and boost efficiency to attract driving foot traffic to the Mall. Wangsa Walk Mall is accessible via the Duta-Ulu Kelang Expressway (DUKE), Ampang Kuala Lumpur Elevated Highway (AKLEH), Sungai Besi-Ulu Klang Elevated Expressway (SUKE) and Serdang-Kinrara-Putrajaya Expressway (SKIP). 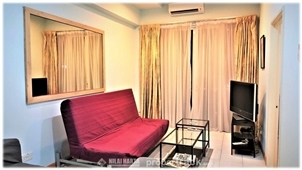 0126978178 753 sf APARTMENT 38 Bidara Condominium for Sale and Rent Changkat Bukit Bintang Kuala Lumpur pid=1346. For 38 Bidara Service Serviced Apartment Apartments Condo Condominium Residence Residences Bukit Ceylon Changkat Bukit Bintang Kuala Lumpur KL for Sale Rent Rental Rentals Lease to Buy Sell and Sales enquiries, telephone the Property Desk on (+60) 03.2032.3168 / Duty Handphone (+60) 012.697.8178 or simply click on the blue propertrack Malaysia Nilai Harta Consultant Sdn Bhd Contact Agent link below. 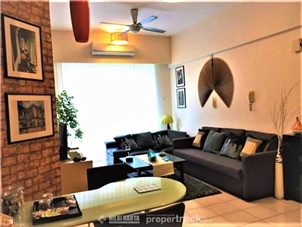 38 Bidara Condo Bukit Bintang, 753 sq ft Service Apartment is located on a high floor, with 2 bedrooms, 2 bath rooms, fully furnished and overlooking Bukit Bintang. This spacious Bidara Condo provides an open plan fitted kitchen, dining and living area, master bedroom with built-in wardrobe, en-suite bath and a second bathroom with hot water system. 38 Bidara (also known as Bidara Condominium), is a serviced residence set within a freehold land completed in 2005 by Goldhill Group (renowned Singapore based property development company established in 1963). 38 Bidara Condo comprises of one block 18-storey serviced residences together with basements parking bays, and with an extended 2-storey block catering for residents’ recreational facilities to include swimming pool, timber deck, gymnasium (gym) and coin operated laundry as well as the mail room, CCTV surveillance, 24-hour manned and guarded security with a smart card access system and automatic boom-gate, securely accessed from the elegant and hotel-like main entrance lobby. In addition, the mini-market, laundry service and Drift Dining & Bar (a modern Australian Fusion restaurant) are located on the ground floor catering residents with all the service facilities and conveniences one would expect of a fully self-contained residence. 38 Bidara Condo Kuala Lumpur is located directly behind the Hotel Istana and HSBC Bank, within the heart of the Kuala Lumpur City Centre (KLCC), Golden Triangle and Central Business District (CBD) with an excellent road infrastructure, within mere walking distance to 24-hour door-step amenities and convenience to shopping malls, cinema, restaurants as well as the Monorail and MRT stations. In essence, an eceptional "value for money" prime Kuala Lumpur City Centre (KLCC) location Malaysia Property Investment (MPI) opportunity. For Foreign Nationals planning to Invest in Property in Malaysia under the Malaysia My Second Home (MM2H) Visa programme, propertrack is able to arrange assistance through the application process as well as an introduction to established professional: accountancy; conveyancing; legal; insurance; taxation; as well as interior design, build and renovation, service providers. All information and specifications herein are subject to variation, modification and amendment (if be applicable) as required by the relevant authorities or the respective developer’s consultants and or architects and neither shall nor form part of any offer and or contract. Renderings and photographs herein may be artist’s impressions only and all measurements are approximate subject to final survey. Any indicative prices are subject to change, floor level, view and furnishing (where applicable). E&OE. 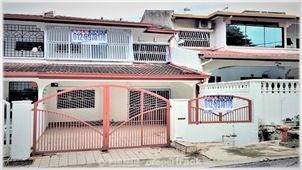 0126978178 BU 2000 sf 20x70 Double Storey Terraced House Property Jalan Taman Sungai Besi Indah 3 Seri Kembangan for Sale for Rent pid=1150. For Taman Jalan Sungai Besi Indah 3 near Mines Shopping Mall Seri Kembangan Selangor Property Properties Terrace Terraced House for Sale Rent Rental Rentals Lease and to Buy Sell Sales enquiries, telephone the Property Desk on (+60) 03-2032 3168 / Duty Handphone (+60) 012-697 8178 or simply click on the blue propertrack Malaysia Nilai Harta Consultant Sdn Bhd Contact Agent link below. A delightful Jalan Taman Sungai Besi Indah 3 Terrace House for Sale, ready to move into and a recently renovated Double Storey landed terrace family home in the well established residential area, being a property for Sale near the Mines Shopping Mall, affording spacious family accommodation in Taman Sungai Besi Indah within the township of Seri Kembangan Selangor. The flexible house flexibly expands with a living space of approximately 2000 sq ft built upon a land area 20’X70’ (equivalent to approximately 1,400 sq ft). The Taman Sungai Besi Indah 2-Storey Terraced House is offered with a master bedroom (secure balcony off to protect naughty children), 2 extended spacious bedrooms, 1 guest room, 3 bathrooms, a living room, dining room, fully extended kitchen fitted with fitted cabinets and a backyard, a covered car porch coupled with ample additional parking space directly in front of the home. The 2-Storey terraced house has been continually well maintained and upgraded to include new water plumbing, wiring and electrical systems. The Jalan Sungai Besi Indah 3 Double Storey Terraced property is located on Jalan Sungai Besi Indah 3 (Jalan SB) in Taman Sungai Besi Indah Seri Kembangan neighbours a matured community with a well established mixed development of landed residences, walk-up apartments, shop apartments and condominiums to include Taman Harmoni Indah, Taman Bukit Belimbing, Taman Serdang Perdana and Taman Bukit Serdang. Taman Sungai Besi Indah 3, is well placed for access to local amenities which include prominent education institutions such as the Army Royal Malaysian College and Australian International School, restaurants, banks, offices, hospitals, supermarkets, South City Plaza, the Mines Shopping Mall, Malaysian International Exhibition & Convention Centre, the Mines Resort & Golf Club, KTM Komuter andan array of public transport services. All of them situated no further than a 5km radius away from Taman Sungai Besi Indah. Taman Sungai Besi Indah is thus a highly sought-after housing area due to its accessible location and living environment. It is only 20km away from downtown Kuala Lumpur City Centre (KLCC), 15km from Putrajaya, the Administrative Capital of Malaysia, 15km from Puchong and Kajang via the BESRAYA, KESAS, PLUS, Puchong-Sg Besi and SILK Highways. 0126978178 OTHERS AVAILABLE 960sf SOHO Seri Bukit Ceylon Serviced Residence Duplex Office Apartment for Sale for Rent Bukit Bintang Kuala Lumpur pid=1349. For Seri Bukit Ceylon Bintang Service Serviced Residence Residences Condominium Condo Apartment Penthouse Duplex SOHO Office Suite Studio Kuala Lumpur KL for Sale Rent Rentals Lease and to Buy Sell Sales enquiries, telephone the Property Desk on (+60) 03.2032.3168 / Duty Handphone (+60) 012.697.8178 or simply click on the blue propertrack Malaysia Nilai Harta Consultant Sdn Bhd Contact Agent link below. 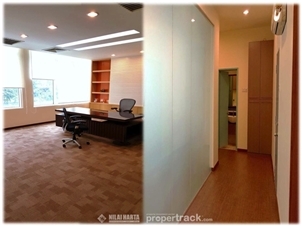 A Seri Bukit Ceylon Service Residence Duplex SOHO Office Suite suitable for home / office / business and or dual use. The total built up area of 960 sq ft (upstairs 320 sq ft, downstairs 640 sq ft), along with a high-ceilinged open concept reception area, a utility room, fitted with lighting, 2 bath rooms and 3 air-conditions. Seri Bukit Ceylon Service Residences (previously known as Somerset Seri Bukit Ceylon and now partly home to A Best Seri Bukit Ceylon Serviced Residence) Kuala Lumpur, sits on freehold land, completed in July 2006 by UM Residences Sdn Bhd (a subsidiary of UM Land Berhad). Seri Bukit Ceylon is located on Lorong Ceylon, within the heart of the highly sought after Bukit Ceylon, Kuala Lumpur City Centre’s (KLCC) Golden Triangle and Central Business District (CBD). Seri Bukit Ceylon Serviced Residences Kuala Lumpur is a mixed development that comprises of both residential and commercial components to include retails, office business suites (SOHOs), serviced apartments (currently managed by a hotel operator, A Best Realty Network) and apartments & penthouses (owned by individuals), all within one block of 23-storey building and with 4 basement levels of car parks.